Buy Serena - The Lily Cat a Coffee. ko-fi.com/lilycatserena - Ko-fi ❤️ Where creators get paid by fans, with a 'Buy Me a Coffee' button. I'm an anime journalist and I write about yuri manga, yuri anime, GL webtoons, otaku news, and reviews in TheLilyCat.com. I love to travel to attend anime conventions as well. I'm also an anime news writer for a few known anime/otaku websites. Hello, this is Serena of The Lily Cat. If you love the yuri news, reviews, and content that I put up on the site, you may consider supporting me by buying me a cup of ko-fi. I will keep doing what I love and I do appreciate the support. Thank you! Secured Payments. 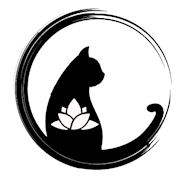 Support goes to Serena - The Lily Cat's account. Upgrade Serena - The Lily Cat to a yearly Gold Membership with a one-time payment.